Volunteer & Teach at the Beach! 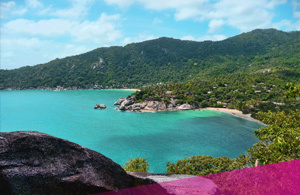 Koh Samui may be a haven for international sun-worshippers with its stunning beaches, the waterfalls and the nightlife, but it too suffers from a lack of funding for basics such as education, childcare and school development. Many of the schools here have set up on land owned by temples with financial support being raised by the monks. As the monks have their own lifestyles to support, funding for the schools is often meager, if anything. That’s where you come in! Any Thai with an ability to speak even the most basic English stands a better chance of breaking free from their meager surroundings. Working within a community school you will assist teachers with teaching basic English to 6 to 12 years olds. This will involve interaction with kids during lessons, in break lunch periods and in extracurricular activities sech as sport & football. 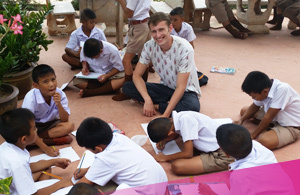 The project looks after 3 different schools on the island, so plenty of kids to look after! Koh Samui island lies off the East Coast of Thailand, it’s just a 20min ferry ride from Koh Phangan where our Ultimate Thailand tour ends. 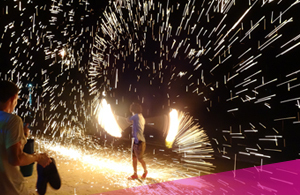 Koh Samui is famous for its stunning white sandy beaches, amazing food and epic nightlife. You’ll be staying in one of the 2 volunteer houses in a small, quiet community, not far from the beach. Both houses is located very close to all amenities you will need to settle in quickly and easily such as ATM’s, supermarkets, restaurants, bars, shops and more. The minimum duration of your program is 2 weeks. You can upgrade and stay longer, enabling you to fully engage in your role and create a strong bond with your students and colleagues. The program starts on the 1st and 3rd Friday of the month – and runs Friday to Friday. You don’t need previous experience to participate. You will be guided through the teaching process by our team of trained, English speaking staff. We’re ensure you’re confident with the lesson plans and teaching materials before you start. Great addition to your Ultimate Thailand adventure! Want to know more? Register your interest! Check our Ultimate Vietnam to make it the ultimate adventure in SE Asia.